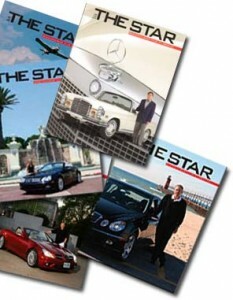 AMGmarket.com news/June 20, 2011: At the 20th Annual International Automotive Media Awards (IAMA), the MBCA and Star Magazine, and its contributors, editors, writers and photographers won a total of 17 awards. Presented at the Automotive Hall of Fame in Dearborn, MI, Star honors included four gold, six silver, and seven bronze medals, for articles and photographs in The Star magazine issues from 2010. The International Automotive Media Competition, a function of the International Society for Vehicle Preservation, is an awards program to recognize and encourage excellence in all forms of automotive media. Judging is by peers to a standard of 100 points, with Gold (97-100 points), Silver (92-96 points), and Bronze (85-91) Medallions presented for those works so qualified.